Western North Dakota, with the rapid expansion of the oil industry, is experiencing unprecedented growth and demand for all aspects of community development. The type of growth occurring will require planning and design that is responsive to the short and long term needs in the region. Watford City is at the center of the added population and a comprehensive plan for new developments will ensure the goals of creating “Livable Communities”. The area needs for new infrastructure, schools, medical, and other community facilities will all need to be considered along with the housing and commercial needs new to Watford City. The mixed-use town plan for Emerald Ridge will serve as an example for considering the program needs of the project with the needs of Watford City. Residents will experience a quality of life that allows them to have the opportunity for all of their everyday needs available within the community. The project also includes a variety of park, trails, and open space vistas for all residents and visitors to enjoy. 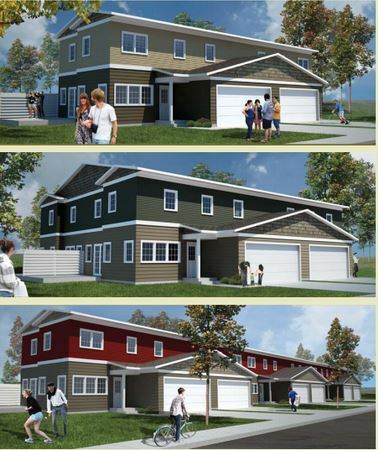 Emerald Ridge, located just one mile from Main Street in Watford City is now underway. 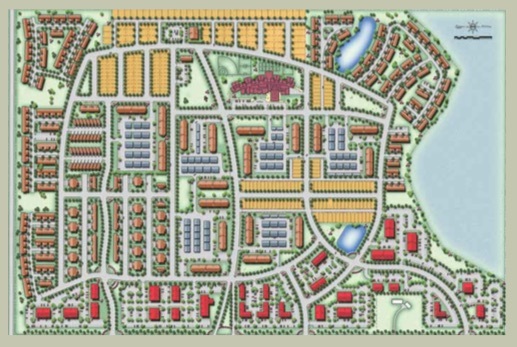 Based upon award winning planning principles the project is a model for town planning in western North Dakota. The project is composed of a variety of uses that includes more than 2,000 residential units, 600,000 SF of office/retail, 15 acres of parks and community facilities, an elementary school and 48 acres of open space. The “livable community” design has a strong emphasis on pedestrian oriented streets and neighborhoods for a small town lifestyle. The project places small neighborhood parks and community facilities within a short walk from the residences and makes use of tree lined streets to connect to common gathering places such as retail areas, community center and the school. Emerald Ridge is uniquely positioned to be Watford City’s only new community that is designed to be a place to live, work and play and be just a short walk from town. The Watford City area offers a stunning array of activities to take in. You will enjoy relaxing in a variety of indoor and outdoor recreation, shopping and entertainment locations. At a glance, there is the Theodore Roosevelt National Park, the Missouri River and a variety of new restaurants. Everything featured is just a short drive from Emerald Ridge.